Making a poet of a literary man. Style is often associated with its facade: the articles and accoutrements that build one’s wardrobe. But style starts deeper than that, within the man it mantles. It’s an insatiable force that must be fed to be accessible, and every experience it is given pays off tenfold. Investing in experiences, such as a solitary day getting lost in a new city, contributes to style in a way that is deep-rooted and enduring. 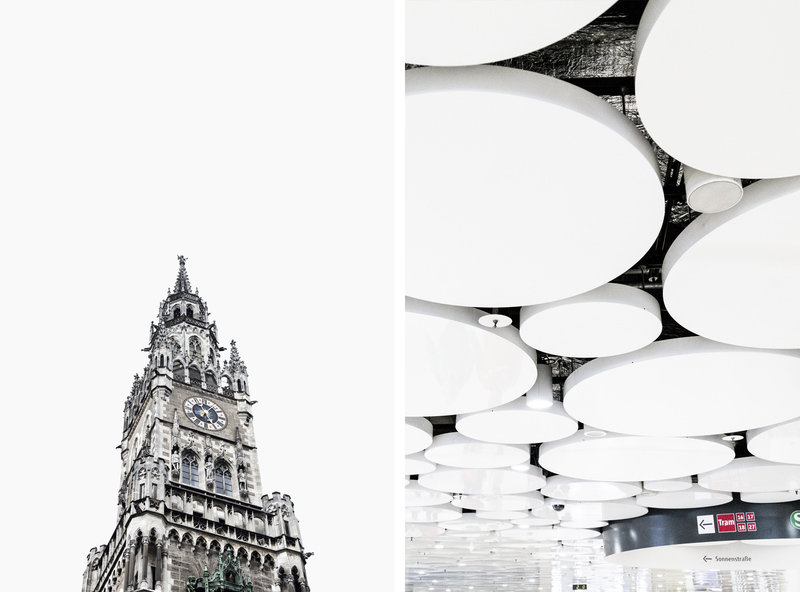 With it’s artistic, cultural, and architectural history, Munich is certain to enlighten any man, even if just for a day, and we were lucky enough to have photographer Brenn Borror visually capture this experience for us. 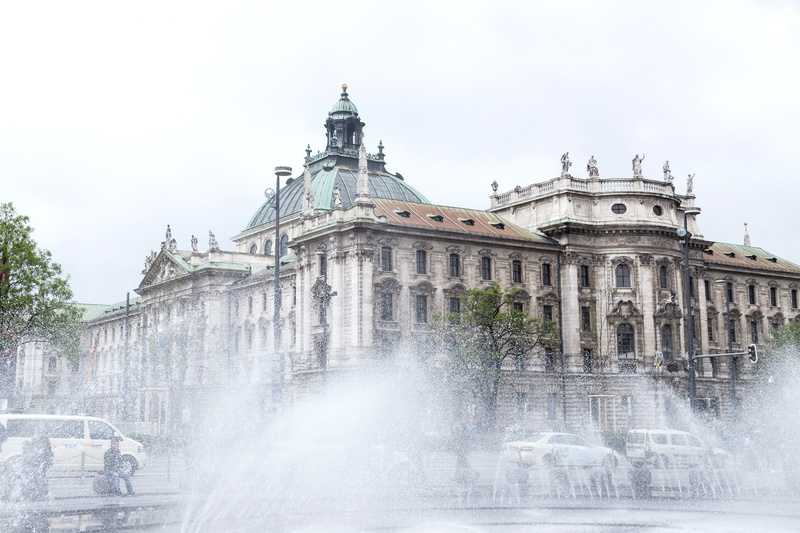 The magic of Munich was immediately evident upon reviewing Brenn’s photographs. Prior to viewing, I had considered prominent Münchner composers, such as Richard Wagner, the repetitive leitmotifs in his music, and the way that device later showed up in Thomas Mann’s literary work. I knew I wanted to emulate this in whatever I wrote about the city, but I never expected to see that very device distinctly reflected in the scenes Brenn captured. A cool palette of geometric patterns flowed in and out of each shot, visually articulating what I had hoped to eloquently capture in writing. Almost romantically, the cobblestone streets were apparent underground in the circular ceiling panels of the metro. 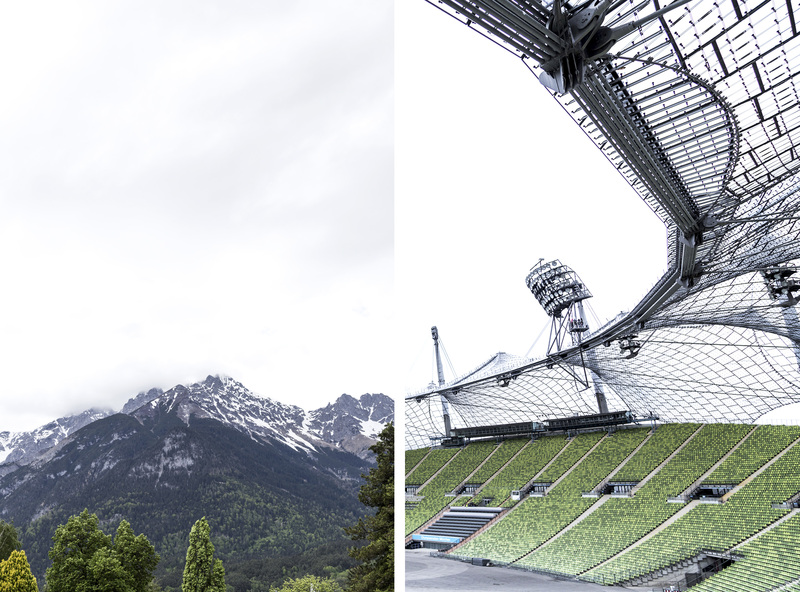 The Olympic stadium embodied the massive undulating rhythm of the Alps and the minuscule glittering cobwebs of the morning. In places like this, the history is palpable. But that’s enough from me. I’ll let Brenn’s photos (and captions from the road) convince you. That May day, Munich was luminous. The weather in Munich that week was similar to what you’d find on a spring day in the Pacific Northwest: overcast and rainy. It wasn’t cold enough to warrant a heavy coat, but the late spring weather was a persistent reminder that, while I was in a large modern city, I was still walking within eyesight of the alps. It was important to remind myself, I think, that while I was still separated from the melting pot that is the United States, all major cities in the world play home to a vast variety of cultures. 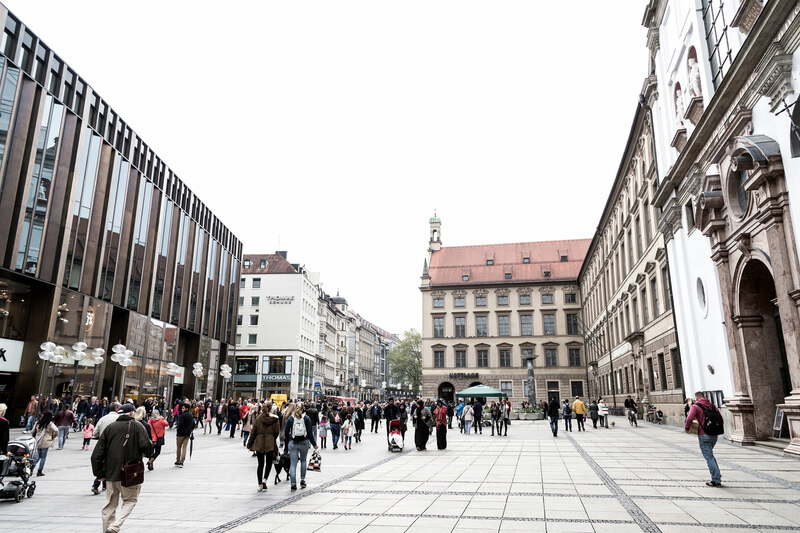 Walking through the Marienplatz I was surrounded by a mixture of languages, styles and movement. There were buskers playing American blues guitar while singing in German, the closest restaurants to me were Thai and Mexican and Italian. One particularly distinctive thing that I noticed was that the streets were filled with German vehicles – Mercedes, Mini Coopers, BMWs (cars and motorcycles). While the people of the city were varied, the architecture, vehicles, and design felt distinctly German. In addition to this, there was one day after Bayern Munich had won a game that it felt like the entire city came together to rally in the Marienplatz. Almost every German I saw that day was wearing a jersey under their Sunday lederhosen. I’ve never seen a city come around a team like that to celebrate its victory. My goal in photographing a city is to capture its mood. While this can be done through photographing people or food, I prefer to highlight the structures. 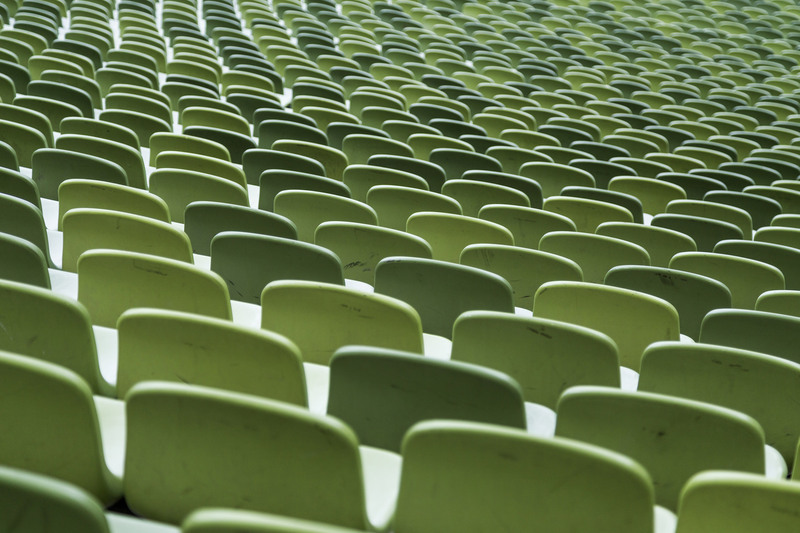 We are constantly surrounded by design without ever interacting with it or appreciating it. We recognize the immediate in our life – the conversation we just had, the fact that our feet hurt from walking, the crowded spaces that can feel both suffocating and exciting. Oftentimes we only focus on those immediate things. 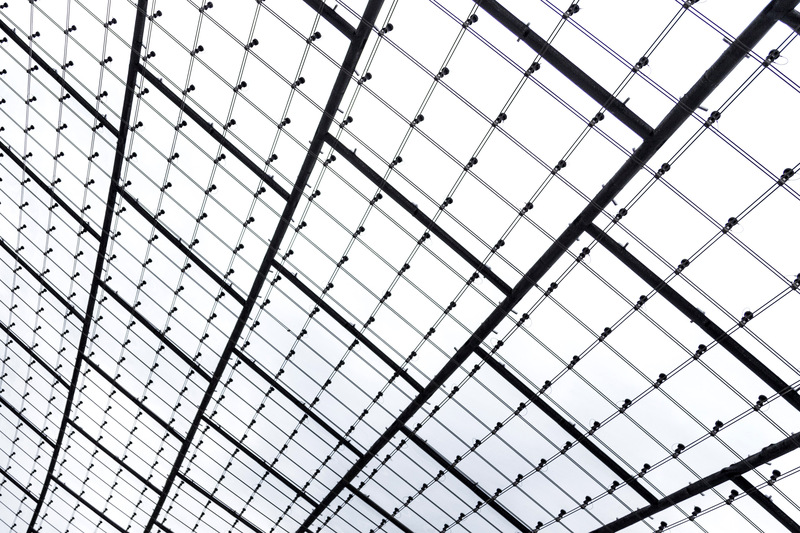 We rarely take the time to reflect on the things that we don’t directly interact with – a skyline, the patterns in a structure, the layout of a city block. While we don’t often think of those as affecting us, they certainly do, particularly in the sense that they can change the mood we’re in or the mood we associate with a city. So often a city’s defining characteristic is its structures, whether those be the literal organization/layout of the city, or the buildings. I like to take photos of cities and landscapes because they don’t ask for attention and I don’t have to make them pose. I was dropped in the city without any means of personal transportation for 4 days – which led to a lot of walking. I was traveling in a larger group that I toured some distinct locations with – Dachau, the olympic park, the BMW museum. I chose not to photograph Dachau or the BMW museum, but I couldn’t resist taking photos of the olympic park. The lines of the park were too interesting to pass up. 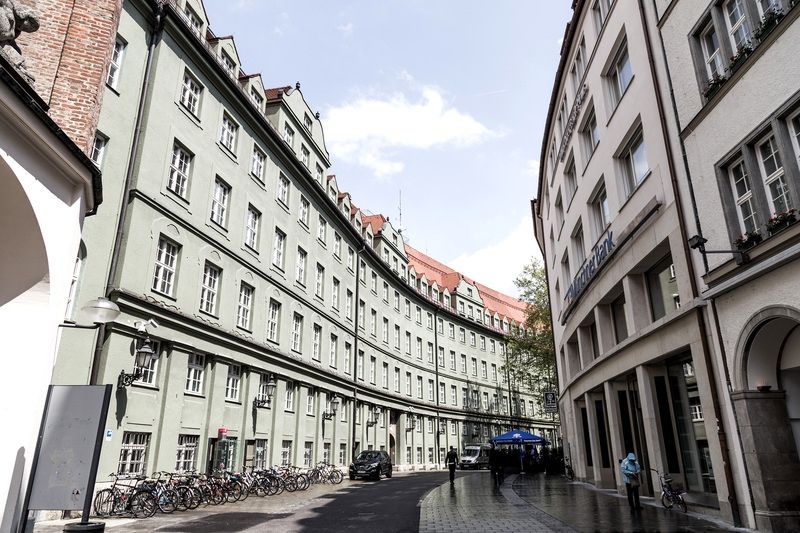 There were no specific locations that I chose to visit, but being dropped five blocks from the Marienplatz allowed for quick access to a lot of interesting locations. 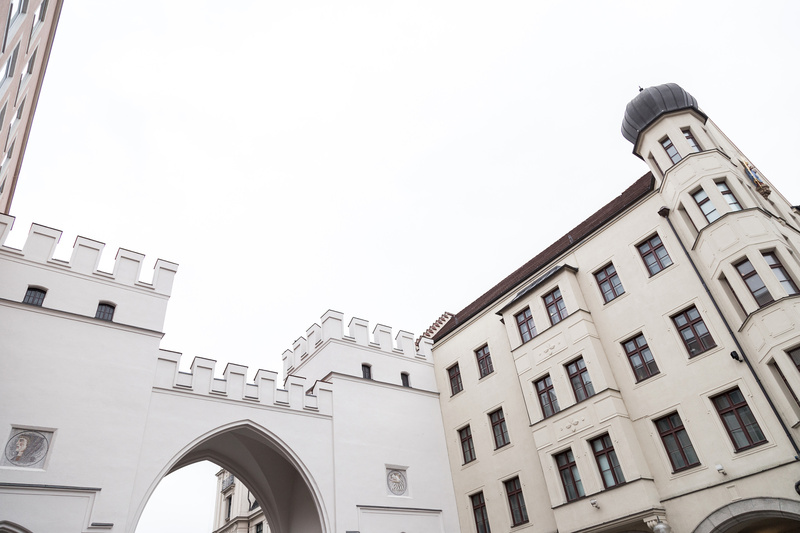 I knew very little about Munich other than it was a large city in the south of Germany. I was surprised by how universal it felt, that there were few distinctly German things about the cultures it contained outside of the architecture and the language. I enjoyed was that it felt much more relaxed than what you would expect from a metropolis. 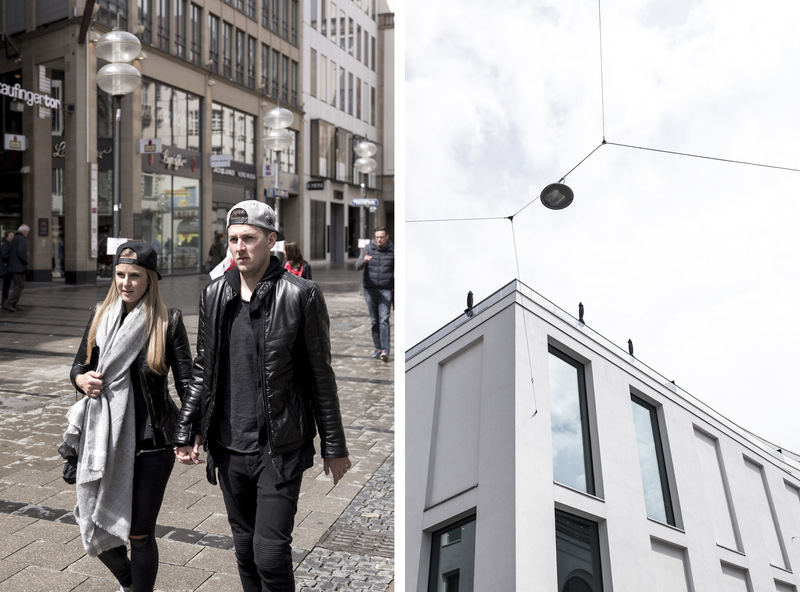 In comparison to other cities I saw – Milan, Vienna, Paris – it felt much more settled into itself. Peopled walked with confidence, there weren’t a ton of crowds, people were generally very considerate and kept to themselves. I would love to go back and see the city on my own terms rather than with a group, but until then, I will withhold judgement. These pieces of the city, they create a backdrop for the life it holds. As in any form of entertainment, the backdrop often goes unappreciated unless one takes the time out of their experience to look at it closely. I think in order for people to understand a city and to understand why a city makes them feel a certain way, they need to take a look outside of their routine to observe the backdrop.